This is so sickenly sad. My brother was in Junior hockey and went beyond....the main fear of the family as he travelled everywhere is that an accident would happen. The family never really worried about getting sticks and pucks in the face because that was a really strong possibility as it was a reality in the name of the game, but to know that anyone was hurt or killed in a bus accident while trying to get to the game....that was the real worry in it all. I remember the tension that was in the family from the time he left on a trip till he got home because of all of that, I can only imagine what these families are going through now....It's just too sad for words. @nikikass wrote: I have my sticks out. And found a Tim Hortons hockey puck too. It’s nice to see all around the world doing this. The mix up was awful i cant even imagine that. Holy crap. Good idea on the puck. I should check my storage, I probably have one or two pucks somewhere. It's so difficult to read the articles. My heart aches for the parents families and friends. Our own local junior's are in the playoff's going into game 4 tomorrow night. Young men all across Canada, just doing what they love and trying to win their season. I love my country and the kind caring and loving people of Canada. Aaron Judge, Giancarlo Stanton and CC Sabathia are among the New York Yankees who responded to the viral story of about how severely bullied a 10-year-old girl named Cassidy is. In a video on Facebook posted by Jenn Slater, she writes that Cassidy is her daughter and originally shared her story on her own page – which she says was shut down because she’s not 13 and doesn’t meet the site’s age requirement. My name is Cassidy. I am 10 years old[.] I go to John Adams Elementary School. I am in 4th grade. I started getting bullied in 1st grade. One day during Recess A group of kids grabbed my purse off of a teacher, and spit on it.. and me.. The group of kids always come up to me during Recess, trying to fight me. They hit me, kicked me, pulled my hair, pushed me, stepped on me, spit on me… Kids don’t even want to go near me. Whenever I sit at a lunch table, the kids get up. They threaten to kill me, and they tell me to kill myself. They also spilt milk all over my jacket. They also call me names[.] There’s 4 of them and only 1 of me. The principal doesn’t do anything. I feel so alone, I feel like I have no one. It hurts. This is my story… Stop Bullying! Not just for me for other kids too. Please share my story! The World Cup is in full swing and what better way to celebrate Canada Day! 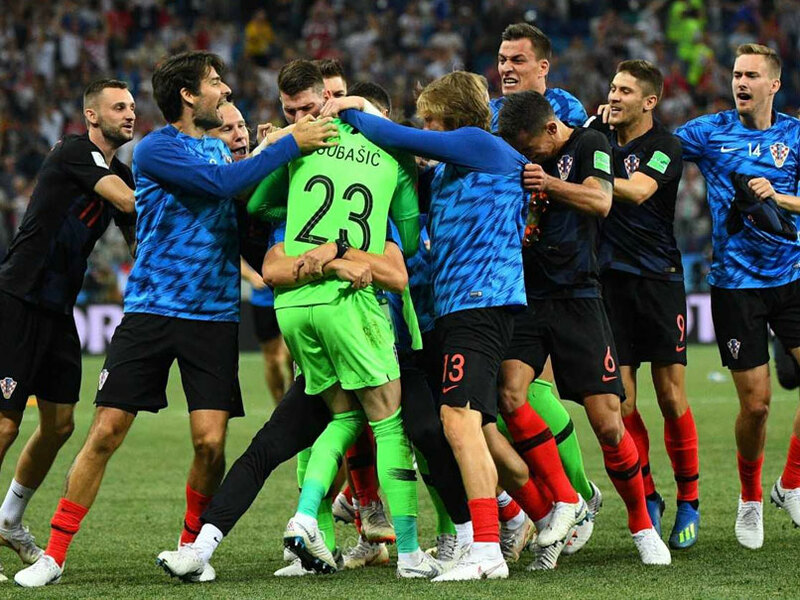 Another exciting game and Croatia is off to the quarter finals after beating Denmark in penalty kicks. It's been pretty exciting! Good luck @Sprite and Croatia!